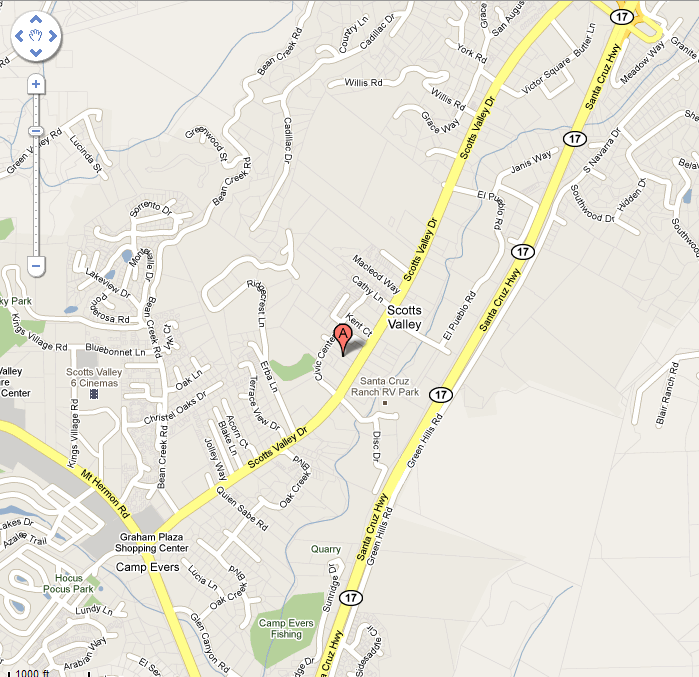 Parrish Piano Studio is located in Scotts Valley, at 4637 Scotts Valley Drive. The teaching studio is located in a small office (#B2) behind the Pro Scuba Dive shop. If you're coming from Los Gatos, take the Scotts Valley Drive exit and turn left onto Scotts Valley Drive. The studio is about 1 mile down, on the right, past Rumble Fish restaurant and just past the Palo Alto Medical Foundation Scotts Valley Office building. If you're coming from Santa Cruz, take the Mount Hermon Road exit and turn right onto Scotts Valley Drive. The studio is about 1/2 mile up the road, on the left, just past the Bank of America building and Civic Center Drive.